You know those ironic photoshopped-images you've seen shared on every social media site you can think of - the ones with two rows of three images accompanied by text in each image box that goes something like "What my friends think I'm doing. What my mom thinks I'm doing. What I'm actually doing..."
Well, this article about multitasking, or what we think is multitasking, is like one of those ironic images. "For example, if we're performing a task where we want to watch TV and ignore voices that are coming from, say, our children nearby," Weissman said, "our frontal region brain may configure the brain to prioritize visual information and dampen down auditory information." "These are the things that make us the most human," Weissman said. "We are not like jellyfish — it's not like when you poke us, we always do the same thing." 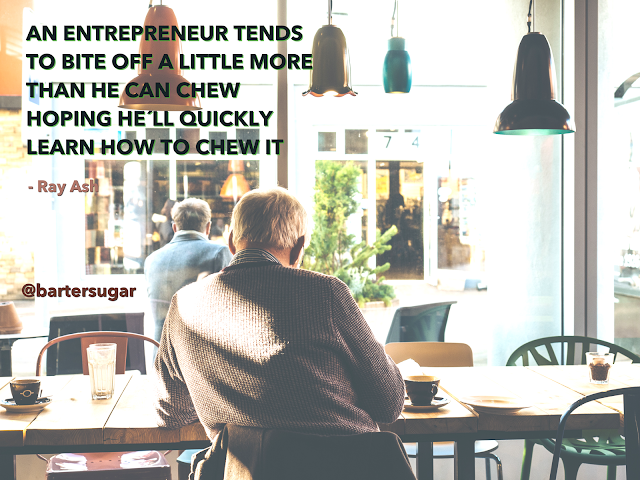 Join bartersugar.com for free, and barter and trade with other startups and companies that can help you in your endeavor to multitask.